Billionaire entrepreneur and Twitter enthusiast Elon Musk took to the microblogging site on Sunday to show off the interior of a “disturbingly long” tunnel. The two-mile-long test tunnel in southwest Los Angeles is gearing up for a grand opening on December 10, with members of the public to be offered free rides along its track the following day. 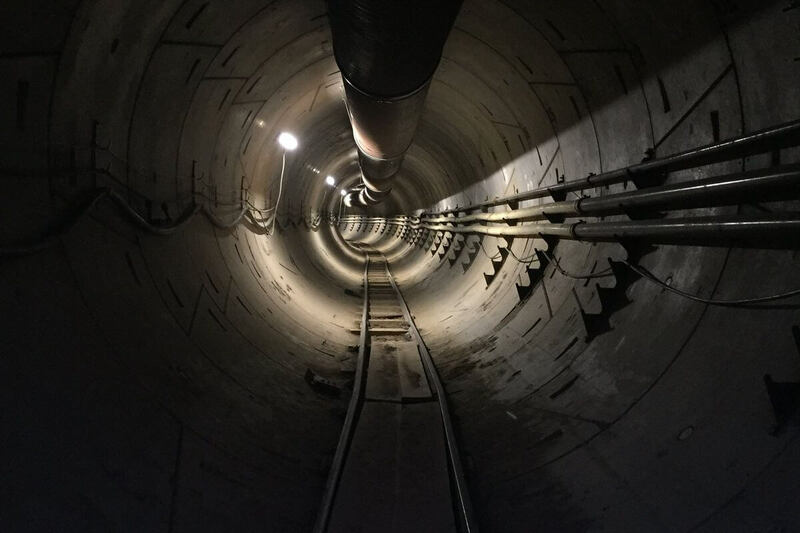 “Walked full length of Boring Co tunnel under LA tonight,” Musk said in his tweet, describing it, rather curiously, as “disturbingly long,” a description that leaves us wondering how he might describe Line 3 of China’s Guangzhou Metro, which, at 37.5 miles (60.4 km), is currently the longest transit tunnel in the world. Accompanying the tweet is a trance-inducing video (below) that takes you on a ride of the full length of the tunnel ahead of its official opening in December. The tunnel travels a short distance north from below the headquarters of SpaceX — another of Musk’s ventures — before turning and traveling west for several miles. The route that the tunnel takes is probably the least important part of its design. For Musk and his Boring Company team, it’s the first real chance to showcase a functioning system as he seeks to convince city planners of its potential to transform transit in cities facing such challenges — which means pretty much all of them. So how would Musk’s high-speed, subterranean transit system work? After building the tunnel with a digging machine that’s essentially the best video game ever, the idea is to use electric-powered sleds to move vehicles, as well as foot passengers and cyclists, to multiple destinations across a city at speeds of up to 150 mph. As demonstrated in the video at the top of the page, vehicles and passenger pods would be lowered from street level onto the sleds via an elevator system, with recent reports suggesting the elevators could also connect to office buildings and private residences. At the start of a journey, the sled transfers from a side tunnel onto the main track, so all of the passengers are constantly on the move. “This is a big difference compared to subways that stop at every stop, whether you’re getting off or not,” Musk said. Another important part of the project is to revolutionize the tunneling industry with faster, more efficient boring machines. In a positive sign for the Boring Company, it’s already been chosen to enter into talks for the design of a high-speed, 18-mile tunnel link between downtown Chicago and O’Hare International Airport, and the company’s idea for a fast transit tunnel between Dodger Stadium and a transit hub in Los Angeles has also been welcomed by the authorities.